Found your through Naturally Carol--I love your projects! These are adorable! I've been knitting a few things for the dolls, but I think I'm going to check out the crocheting links, too, since it looks like they are just as nice! I have two girls who have "American Girl" dolls and I've been crocheting things for them too (domesticdeadline.blogspot.com). ralvery.com (might have spelled that wrong) has lots of free patterns too in crochet and knit. I'm so happy you gave us that link. 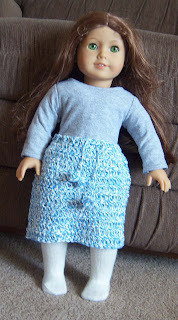 I want to make Morgan clothes for her baby doll for her birthday. Honestly, is there anything you don't do. Ha! patterns from American Girl for the American Girl dolls. I'm not sure I have the patience for it - but you might! 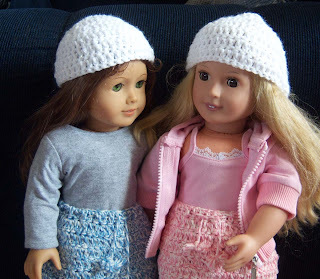 Love your doll clothes and hats. 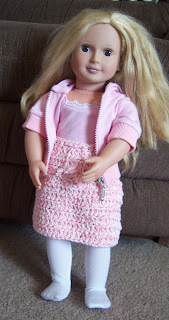 I have some dolls that I got at thrift stores that I need to dress up. Thanks for the inspiration. Those skirts and hats are wonderful. :) My mom always handmade clothes for my dolls when I was little, so this brings back fond memories. Precious! 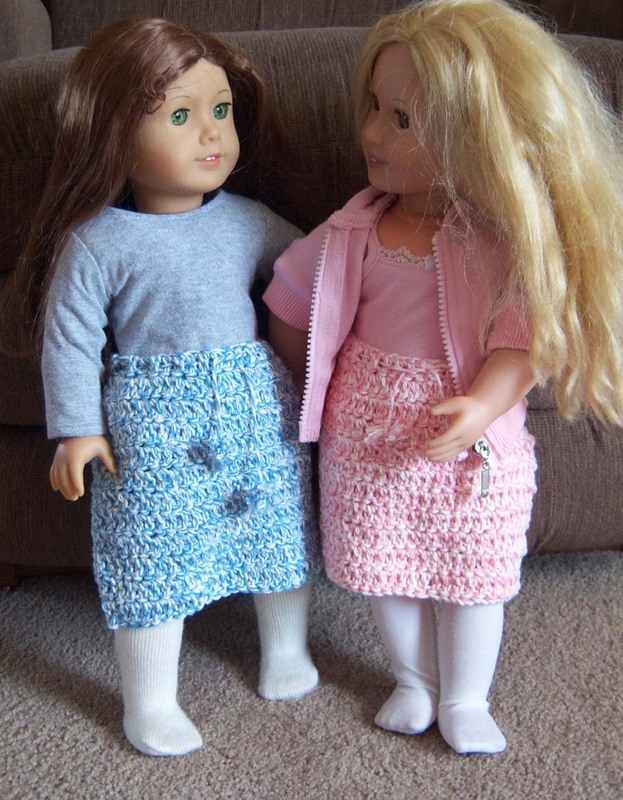 My girls are begging for American Girl dolls....they're only 5, so I'm trying to hold them off for a little while longer! Thank you for linking this up to Fibers on Friday!